ClubCoins Needed: 67 Please note that this item is not available on your device. You may add the item to your Wish list and redeem from a compatible device. 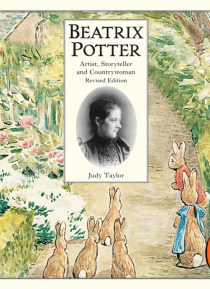 The downloadable audiobook edition of Judy Taylors classic biography, Beatrix Potter: Artist, Storyteller and Countrywoman, read by the actress Patricia Routledge. Starting with the publication of The Tale of Peter Rabbit in 1902, Beatrix Potter went on to become one of the worlds most successful childrens authors. This illustrated biographical eBook takes the reader through the whole of her life… , from her Victorian childhood in London to her final years farming in the Lake District. Regarded as a standard work on Beatrix Potters life, this work has been updated regularly to include fresh material and previously unpublished photographs that have come to light as interest in Beatrix Potter continues to grow.